Albert Einstein described her as “one of the finest Jewish women that I have met”. The renowned physicist met Mozelle Nissim in Singapore in 1922 when he travelled through Asia to raise funds for the establishment of the Hebrew University in Jerusalem. Mozelle’s father was Sir Manasseh Meyer, a wealthy businessman who was considered the leader of the Jewish community in Singapore and who, together with Mozelle, hosted a reception at his home for Einstein and his wife. Sir Manasseh was one of Singapore’s most prominent philanthropists of his time, supporting not just the Jewish community but the wider Singapore society too. Among many other things, he built a synagogue for his community and secured the land for another, and set up a trust that helped charitable and educational institutions. The second of Sir Manasseh’s seven children, Mozelle helped to raise her younger siblings when her mother died and, when she was older, she helped her father host the many social events he held at their large home in Oxley Rise. She and her sisters went to the Convent of the Holy Infant Jesus and, like their brothers, grew up speaking both French and English fluently. The Meyer children travelled extensively with their father, visiting places such as Japan and Egypt by steamship. Like her father, Mozelle had a deep commitment to helping the community. 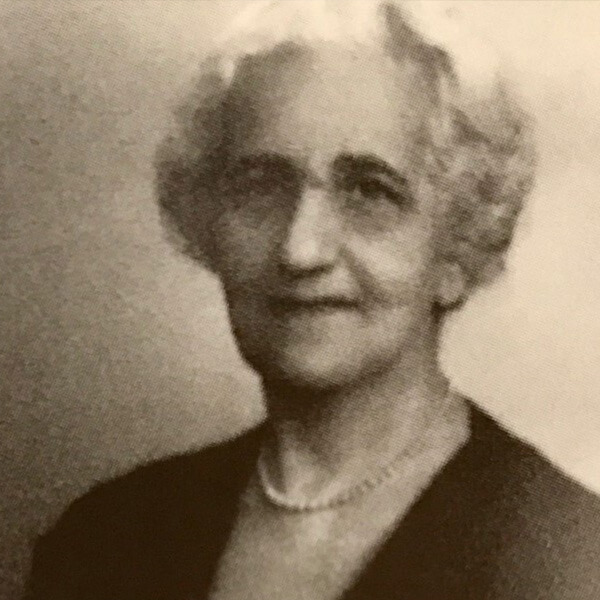 In 1929 she founded the Singapore Jewish Women’s League, which aimed to provide practical assistance to the Jewish poor. For more than a decade, the League raised funds to help those in need pay their rent, food, medical and schooling costs. Mozelle was president of the League, while her father was the patron. When Sir Manasseh died in 1930, Mozelle became the de facto leader of the Jewish community. Apart from helping the poor and destitute, she was keen to see that the Jews in Singapore had access to religious education. As a member of the Board of the Talmud Torah, the religious school that her father established, Mozelle frequently visited the school to check on the welfare of students and teachers. Those who knew her said she was very receptive to all ideas about what would be beneficial for the community. While her chief concern was with the Jewish community, Mozelle was often approached to help with Singapore’s wider community needs and she readily responded. During the 1920s, for example, she worked with other prominent women such as Mrs Lee Choon Guan to raise funds for the St Andrews Mission Hospital, which was originally a hospital for women and children. The Second World War and the Japanese Occupation brought an end to the League’s work as many members of the Jewish community either fled Singapore or were interned. After the war, in 1946, the Jewish Welfare Board was set up to look after the needs of the community. It was established by Mozelle and other leading members of the community, such as lawyer David Marshall who would in the 1950s become Singapore’s first Chief Minister. David knew Mozelle well as, during the 1930s, he taught French at her Katong home and donated the fees he earned to the Jewish Women’s League. In 1934, to try to revitalize the Jewish community, he and some friends started a magazine called Israelight. They presented a leather-bound copy of the inaugural issue to Mozelle in appreciation of her inspiration, encouragement and ideals. Mozelle passed away in July 1975, just a month after turning 92. Reporting her death, The Straits Times described her as the ‘Grand Old Lady’ of the Jewish community. ALBERT EINSTEIN’S DESCRIPTION OF MOZELLE NISSIM AFTER MEETING HER WHEN HE VISITED SINGAPORE IN 1922 (LIM, E. W. K., & KHO, E. M. (2005).